(Cannon Beach, Oregon) - It's home to many artists on the coast, and a few national celebrities have cabins nearby as well. It's an arty vibe that shows, partially in the city council’s rule that most buildings be dressed up in cedar shingles, giving the whole town a sense of the rustic yet refined. This artiness is also apparent in the abundance of quaint businesses around Cannon Beach, from whimsical shops selling kites, clothes and gifts, to its galleries, fine cuisine in a variety of price ranges and the many flowerpots hanging everywhere. Some of the restaurants and bars even have outdoor seating – a daring, if not very urban-thinking move on the coast. 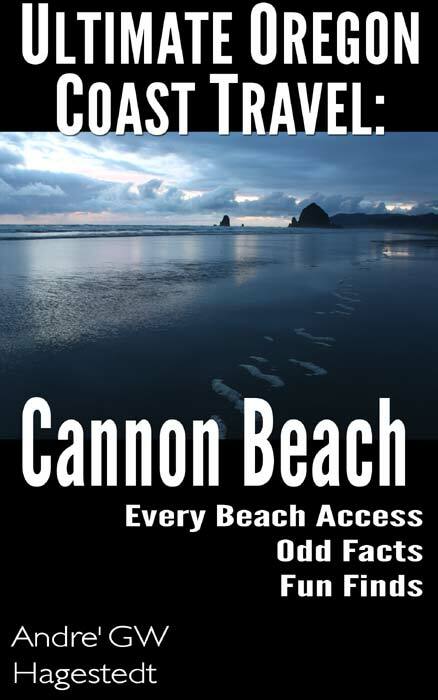 in the meantime, there is this complete guide to all things Cannon Beach available as an ebook and paperback from Amazon: Ultimate Oregon Coast Travel: Cannon Beach - Odd Facts, Fun Finds, Every Access. A deeply detailed guide to Cannon Beach. 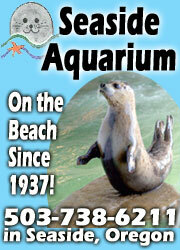 Every beach access in the area, wild nature facts, history, geology, funky beach finds. Find oddities such as glowing sand, green flash at sunset, the surreal Red Towers, singing sands, and more. Full of photos and walk-throughs of each area. 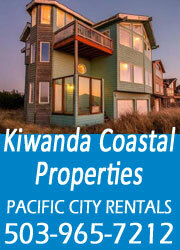 Perfect guide for those who are new to the area or for those looking for a deeper, more intense coastal experience. Comes with a Quick Guide to all beaches, then the mind-bending array of details. Purchase here for $4.99 - $12.99 for paperback. The first in the Ultimate Oregon Coast Travel series. Now Also Available: Lincoln City and Seaside books. 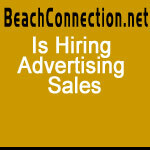 For more details on Cannon Beach and tons of pictures, see the Cannon Beach Virtual Tour, Map. 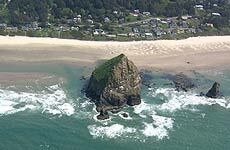 For tons of Cannon Beach Lodging, click here.